Every golfer will admit that golf training aids are important to improving someone’s golf game. There is a wide array of golf training aids on the market, but nothing beats the Rope It golf training ball, which allows its users to engage in golf practice even in a small back yard. Therefore, if you were wondering whether golf training aids work or not, yes they do! The sport of golf is not easy to master. Every golfer knows this and that is why they take extra measures to perfect their golf swing and overall golf game, always practicing on the golf course, which takes up an unusually long period of time. 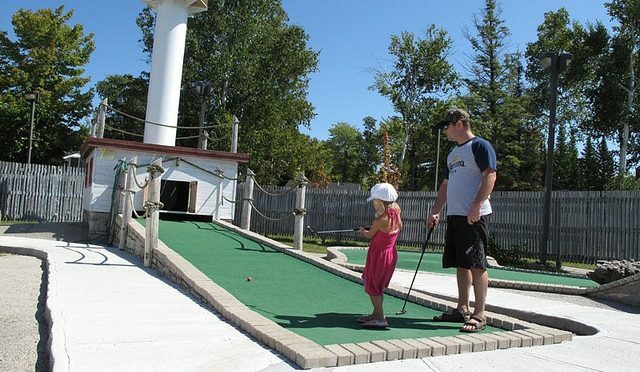 For that reason, people with busy schedules can enjoy the convenience of the Rope It golf training balls. You don’t need the practice range as much! Golfers that use golf swing trainers do so to help with the improvement of specific aspects of their game. Any golfer will tell you about the difficulty of having a perfect golf game. In any sport, for that matter, you will develop some bad habits that throw your game off. With the Rope It golf training ball, you will be able to develop better habits to curtail your movement pattern while swinging your golf club. Golf training aids provide the assistant that golfers need to align, move, position and swing the golf club. Remember, the golf swing is a very complicated part of the game. Most golfers spend hours trying to get that right. Some will spend their entire golfing career doing so and not seeing any results. The Rope It Golf training balls gives the golfer more leeway and most certainly a better way to practice golf. Years ago, golf practice in someone’s back yard was unheard of, but with advanced technology, creative minds and the passing of time, this training aid has been introduced to the marketplace, amidst the delight of many golfers attempting to improve their golf scores. The Rope It golf training balls guides the golfer through the appropriate movement pattern and provides feedback if the swing is not correct. Feedback could involve pressure, muscle memory or resistance. Muscle memory allows the golfer to repeat his or her golf swing on every attempt at hitting the golf ball. This is an important aspect of the game for golfers. By using the Rope It golf training balls, which are the right training aid for getting at least one good golf game on the green. Make a major difference in your golf game by purchasing the Rope It Golf training balls today!